Today its time for my non beauty favourites of the month of march enjoy. This is an amazing book for girls who are just getting into beauty and its written by lauren Conrad how could you not want it! These may be the most comfortable shoes I've ever worn. 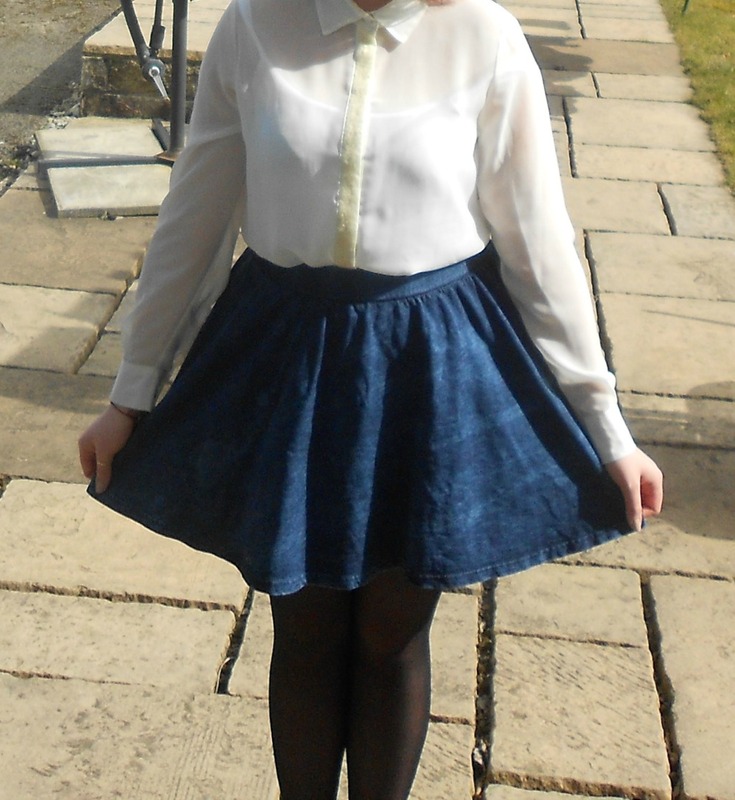 I also love the colour it really adds something to a plain and simple outfit. OMG fall out boy are back I have one thing to say go listen to it now... well when you've finished reading. My favorite tracks are The Phoenix, death valley and where did the party go. and finally my favourite blogger has to go to ellen from A little bit unique. I advise you to go check out her blog its amazeballs!! as you may know last week I did a brand interview with the lovely natalie from Tally Tiger Here's the post! 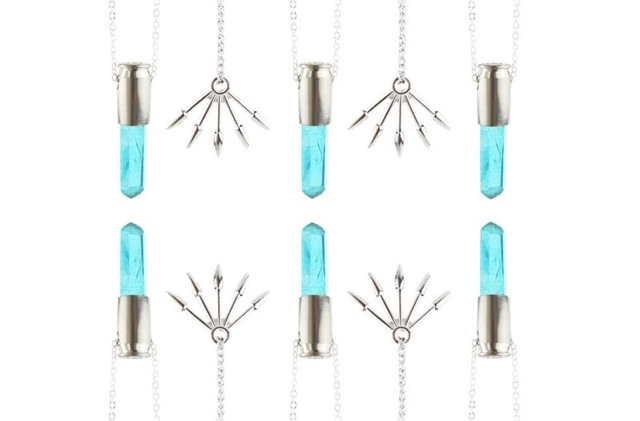 So today I'm going to be showing you the two gorgeous pieces she sent me. I was amazingly pleased with the service, my products came within 2 days. The quality is amazing and natalie did an amazing job. The prices are amazingly reasonable and I highly recommend Tally Tiger.
" Our new collections arriving Sunday title "Woodstock" & "Luxe Bohemia". 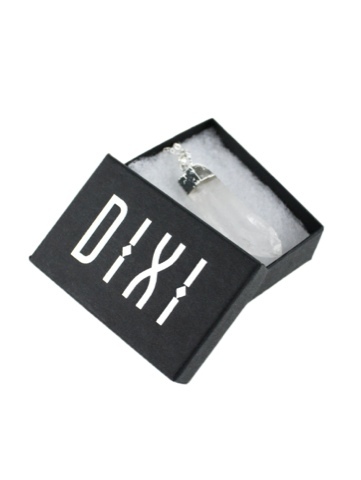 These arrive with our brand new website launch featuring over 100 new items and brand new packaging to make your jewels extra special. 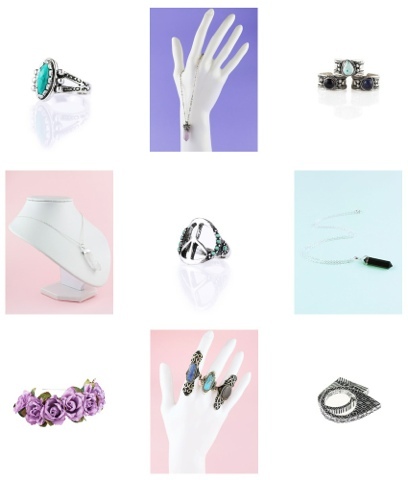 We have re branded to become your one stop for vintage and modern jewellery & hope you like what we have in store!" Today I have a post that's a bit different for you. Last night while lay in bed I had an idea, this idea was to ask friends and family if I could take a look in their makeup bag and tell you guys what's in it. With blogs being centred around 1 or 2 makeup bags I thought it would be interesting for you guys to see a bit more variation. If you guys would like me to continue on with this series let me know. I would also love to see what's in your family and friend's makeup bag. So without further ado lets get on with #1 of what's in ...'s makeup bag. That's it inside my nanas makeup bag let me know if you want to see more of these posts. Beehive has to be one of the most hyped products I've ever seen everyone and their dog seems to have this. I really love it to, its a sheer but buildable muted rosy pink. I can see this working on pretty much all skin tones. I find this to be the sheerest of the three although its still quite buildable. This is a bright pinky coral and is practically summer in a tube. and last but not least cheeky secret probably my favourite of the three. This is a gorgeous peachy orange colour and I really think i'm going to get a lot of wear out of it this spring. I really love the packaging of these the mirror is so handy for on the go application and there so sleek and compact. Overall I love these so much and I'm really considering getting more. 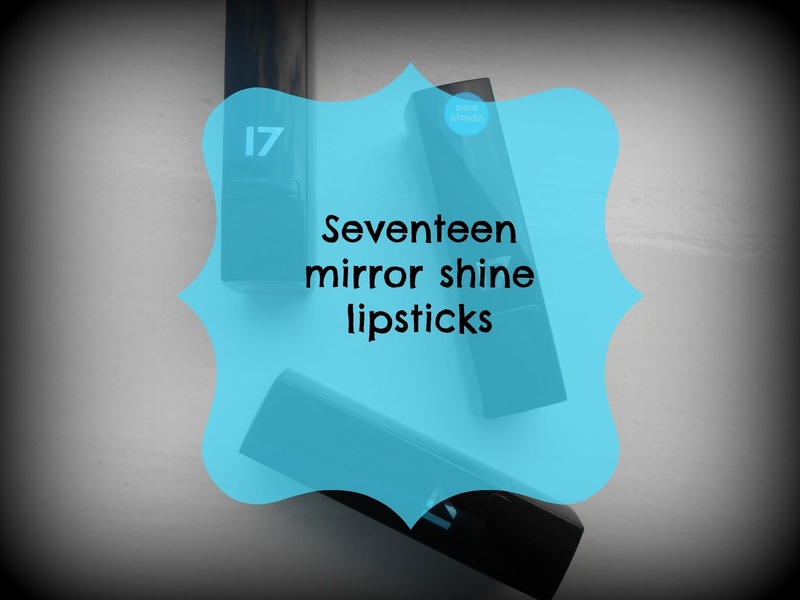 Seventeen mirror shine lipsticks are available from Boots for £4.79 each. MUA Power Pout is a lip treatment with colour intensity that relieves dry, cracked lips providing immediate moisturisation. The handy pencil-style applicator provides easy to apply sheer soft lip colour and rolls up for easy use. Taken from the official MUA website. Can I just say im a little confused in the description it says "colour intensity" and "sheer soft lip colour". How can it be both!!! I have to say thats the only thing I am confused by the rest of the description I couldn't ohavef written better myself. 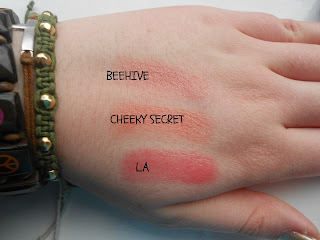 As you can see from the swatch below it looks quite sheer on the arm, but above you can see it on the lips and its much brighter. The colour is a beautiful pinky coral and lasts for about 2 hours. I find that on me they wear evenly and are easy to re-apply with ease. I also find these to be so moisturizing and hydrating. Overall I really like this and hope to pick more up in the future! Have you guys tried these? What colours would you recommend? 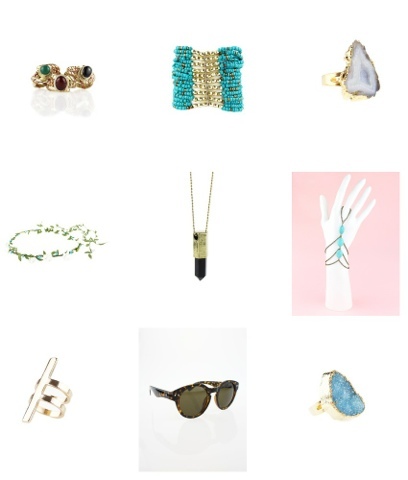 today i've got a tiny haul for you. These are just a couple of bits I picked up today hope you enjoy. Mua power pout in justify - £3.00 Superdrug .... I told myself I wouldn't be trying any more products from mua as they always seem to leave me dissapointed, but I was sucked into the hype. I've been debating trying the Revlon balm stains for ages but I didn't know if i'd like them, so when Mua bought these out I decided to give then a go. I have to say im really enjoying this it's a gorgeous pinky coral which I think will be great for summer. Sinful colours nail polish in 24/7 - £1.99 Boots .... Wow this is a matte neon pink! I am in love nufff said!!!! 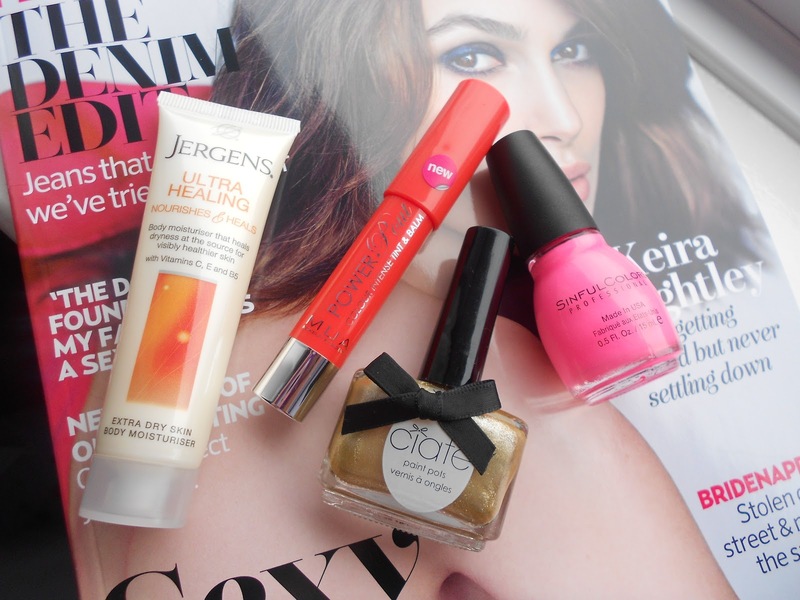 Marie claire magazine £3.80 - with free ciate nail polish in sand dune and jergens ultra healing moisturiser .... This was such a bargain i'm not quite sure how much longer this magazine on sale so grab it quick!! and thats it a very justified shopping trip if you ask me. Today I have a review for you and boy do I love this product. If I had to sum it up in one word I would use the word WOW! I found with this product it was love at first swatch. The shade I have is on and on bronze and its a beautiful golden copper with lots of shimmer. First I will start of with the formula. This is so creamy and blends like a dream. I love this on its own or as a base for powder shadows. I also find it lasts on my lids all day even though my skin is so oily. These pictures really don't do the colour justice at all. I love the way its so shimmery. Overall I really love the colour tattoos and will be going out to purchase more.